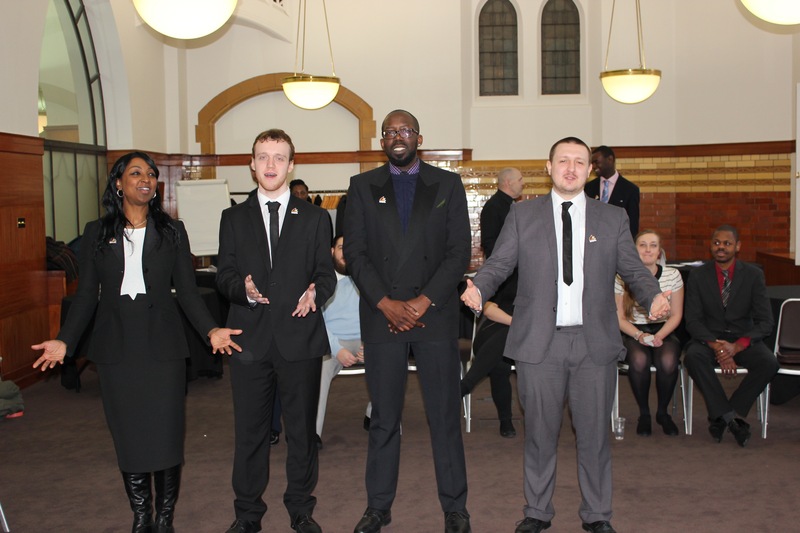 Monday 8 February saw 19 strangers from all backgrounds walk into Holborn Bars – a management conference and training centre in London not knowing what to expect. All a little nervous. Some a little sceptical. Friday 12 February saw 19 trusted friends walk out of the same building. So what happened inbetween to deliver this growth in confidence, self-esteem and trust? – The Orientation Week of Growing Talent. 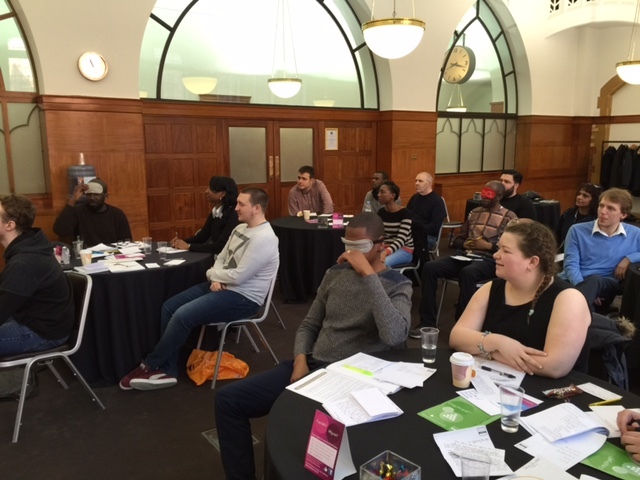 After multiple stages of selection, the Associates as they are known, undergo a week long series of workshops, tasks, challenges and presentations to build their confidence and give them the tools to succeed in the employer vacancy they have been selected for. 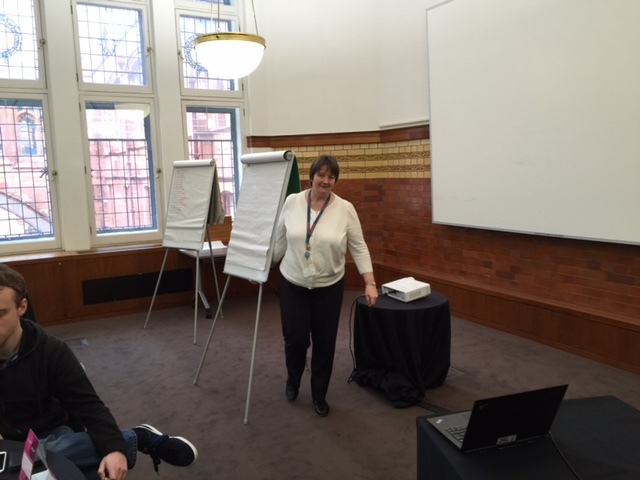 During this week, Lesley above – Head of Health & Safety for PwC – delivered her interactive workshop on the 3Rs – Refresh, Rejuvinate & Renewal! This gives information and top tips on staying healthy at work. Knowledge on how many ingredients are in a Starbucks Blueberry Muffin (48!) to how many calories are in a specialty coffee. Combined, you would consume half your daily advised calories consumption – scary right? Lesley then gave some top tips on sleeping – did you know repeating the word ‘the’ over and over relaxes the brain so much you quickly fall asleep when before you couldn’t! 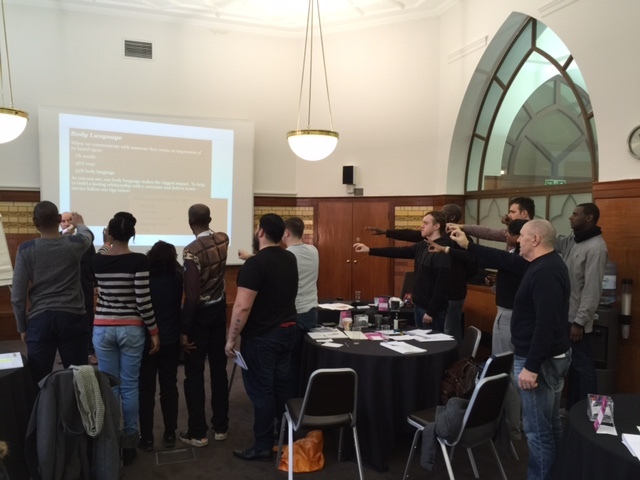 Ben delivered his bespoke ‘Give Yourself The Edge Presentation’ focusing on personal image, body language and communication. 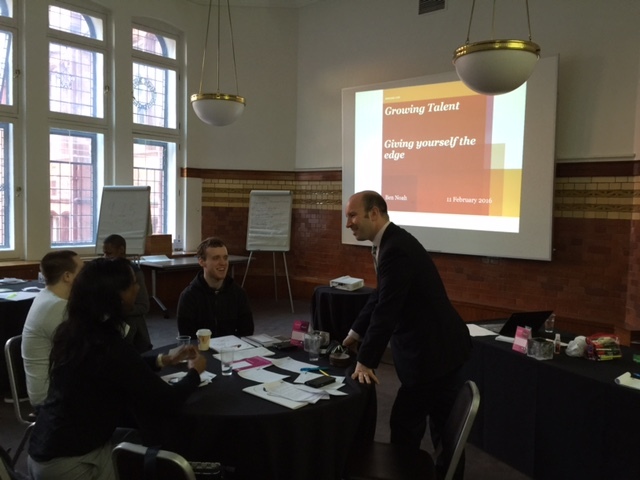 Ben is Head of Client Services at PwC and has a wealth of top tips from his international hospitality career to share. Laughs soon started when Ben gave a verbal instruction whilst his visible demonstration was different. Amazing how many were caught out copying what the eye saw rather than what the ear heard! 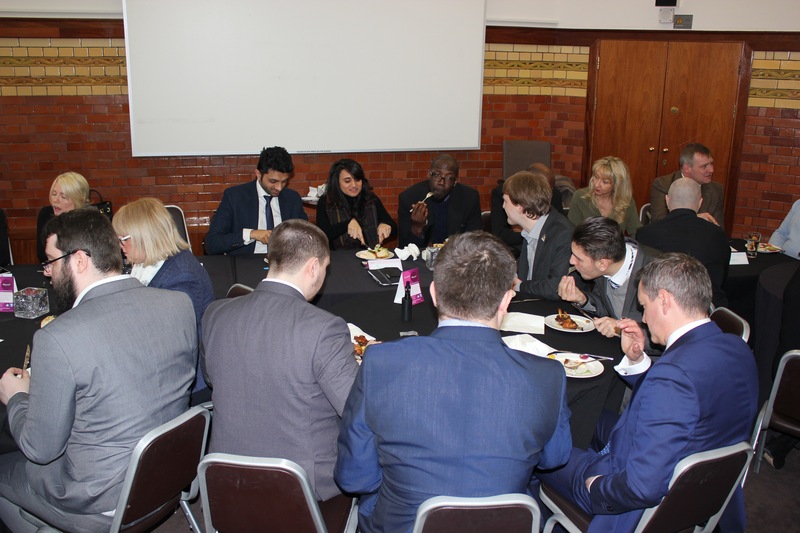 The Associates also had a confidential hour roundtable chat with Rehana, Jacq & Kieran – seen in the centre below – some Growing Talent Graduates who know exactly what they are going through. 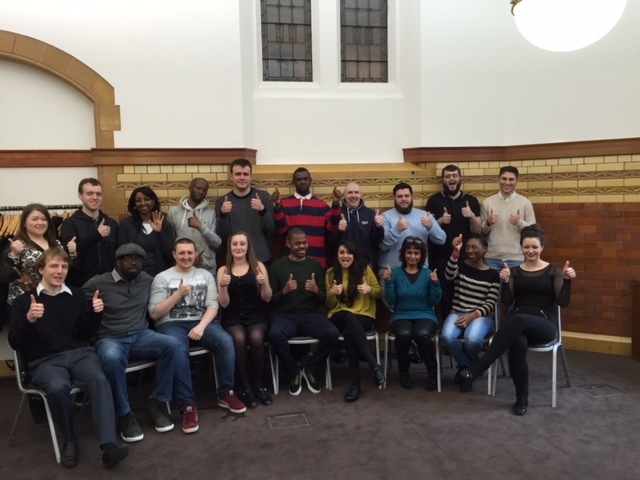 Throughout the week, we worked on communication, conflict management, taking unexpected feedback – all the situations that can arise at work. 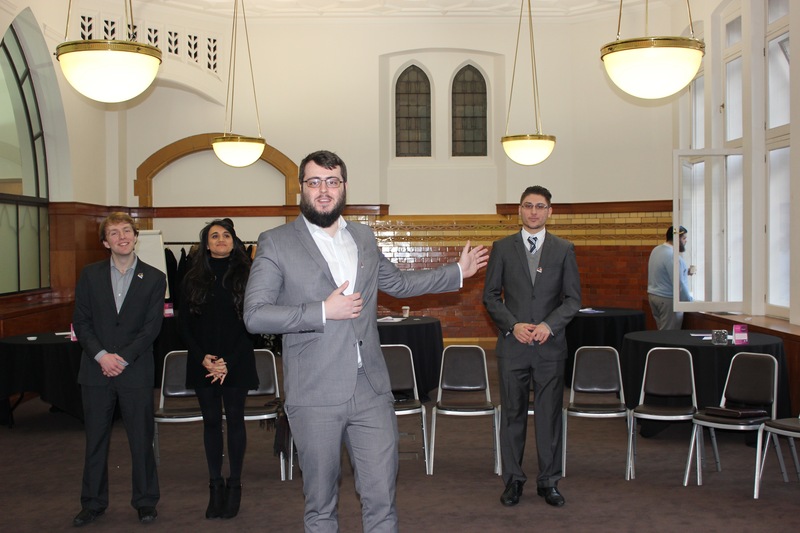 A theme throughout the week was to devise and deliver a Social Enterprise idea to a panel of judges comprising senior management from the employer companies. l-r above, Josh, Krupita, Chris & Jamie delivered Spray Your Way a unique way to bring graffiti artists to the mainstream and art to the masses. 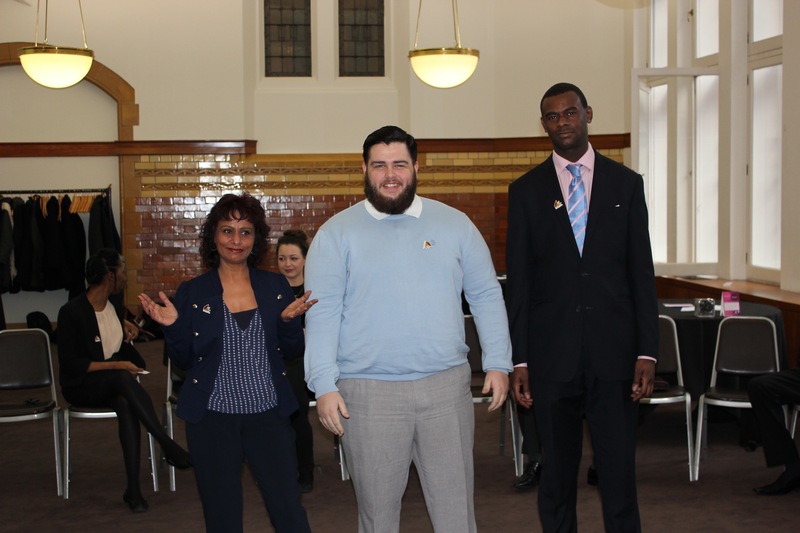 l-r Julie, Dan, Sadeeq & Joe presented Silver Care a way to bring the older and younger generations together and learn from each other. 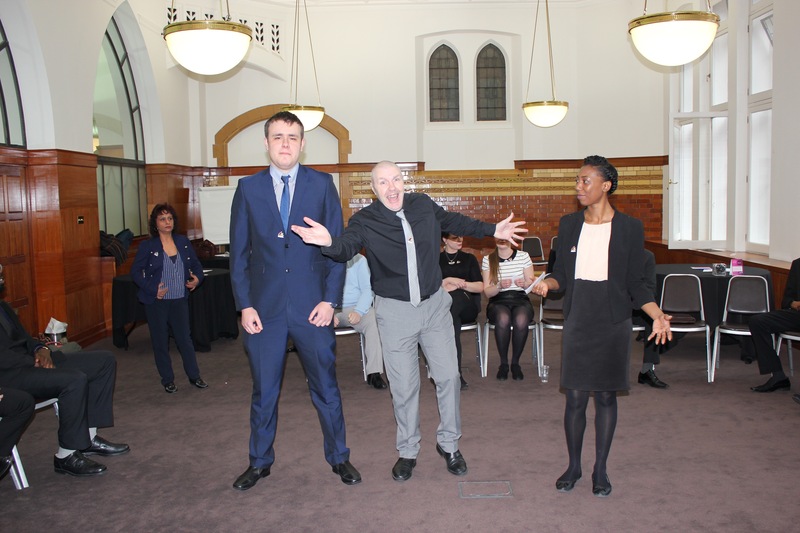 Tina, Jack & Richard below presented Circle of Life and excellent IT idea where young people teach older people useful things like Skype. 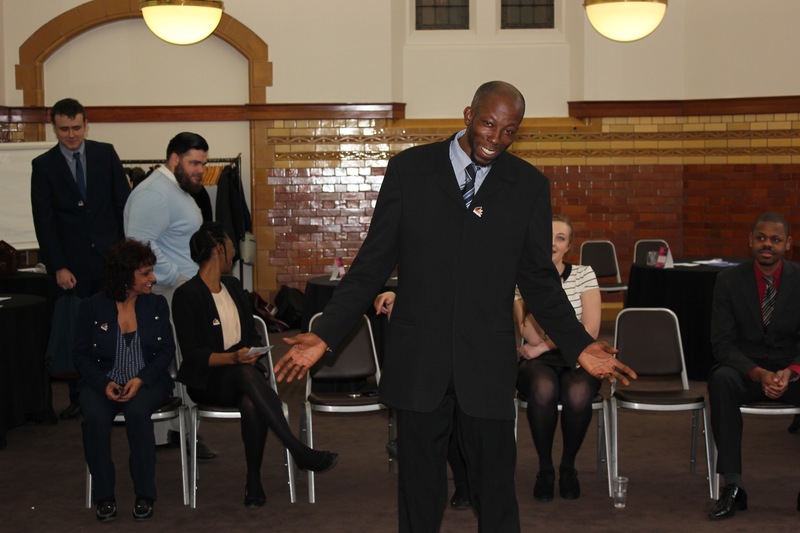 In return the older people share live skills and mentoring for the young. Helping Hands from (l-r) Rebecca, Rosa, Ruby & Nathan had two parts to their idea. The first as a homeless outreach facility whereby an adapted vehicle would park in hotsports for homeless people to get showered and clean clothes as well as signposting to support services if they wanted. The second part was an annual fundraising event. A community fair where the homeless would mix with the community enabling each to get to know the other. Tom, Mick & Charlene comprised Hairline a unique idea to provide bespoke wigs to cancer suffers to ‘give them their life back for as long as they have it’. The revenue stream would come from makeovers for family, friends and nursing staff. They provide support to the patient- but who supports them? Unconditional Love came from his own personal experience and focussed on the need for specialist support for children/young people who lose someone close to them. 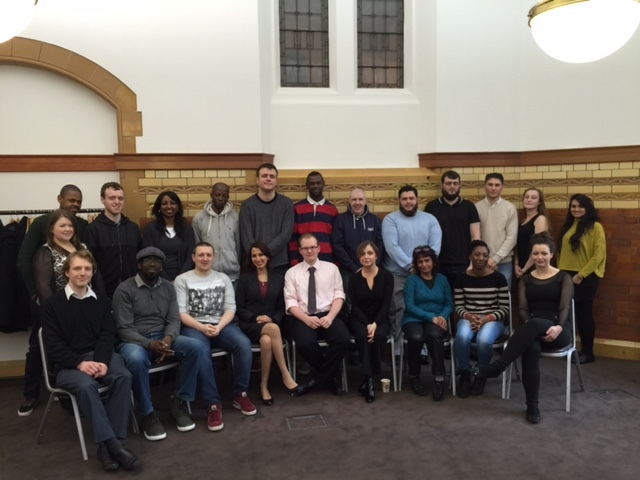 His idea included a website, app and 1-2-1 mentoring scheme. The judges spent an agonising time trying to select one winning idea. In the end Silver Care was selected. 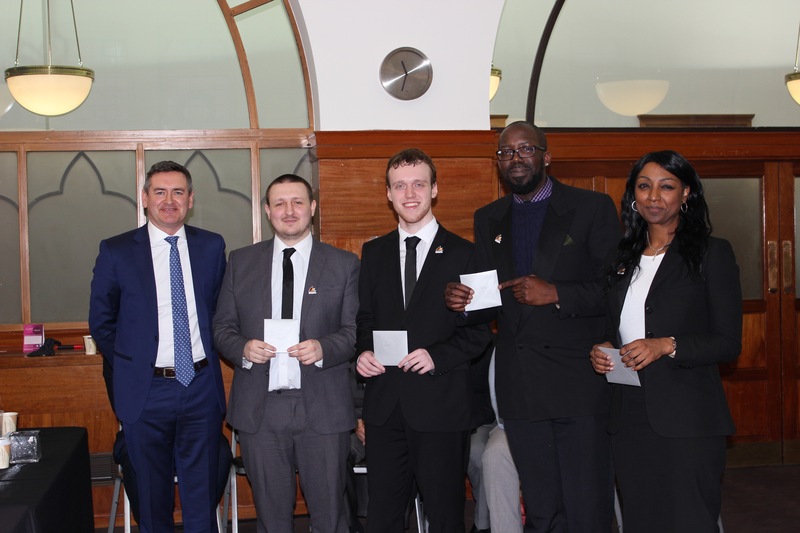 Below l-r, Allen from PwC as Head Judge presented the cash prize to Joe, Dan, Sadeeq & Julie who each received £10. 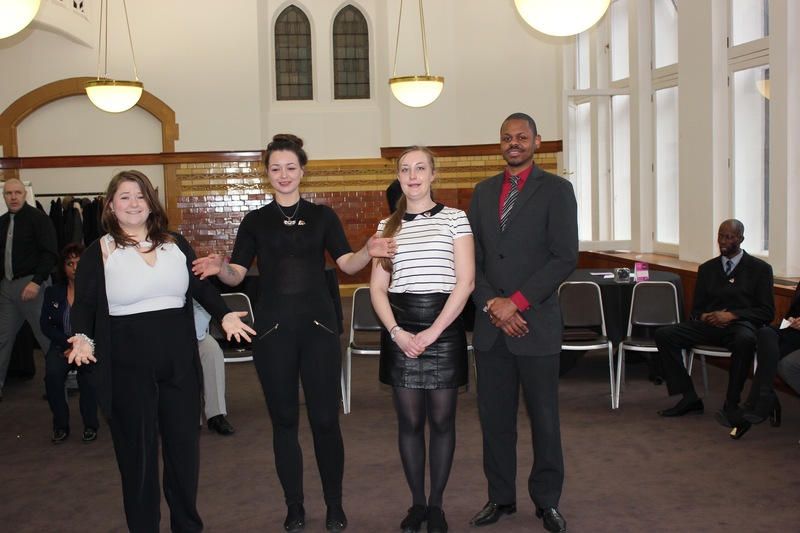 The judges then shared their career journey and joined the Associates for a buffet lunch. 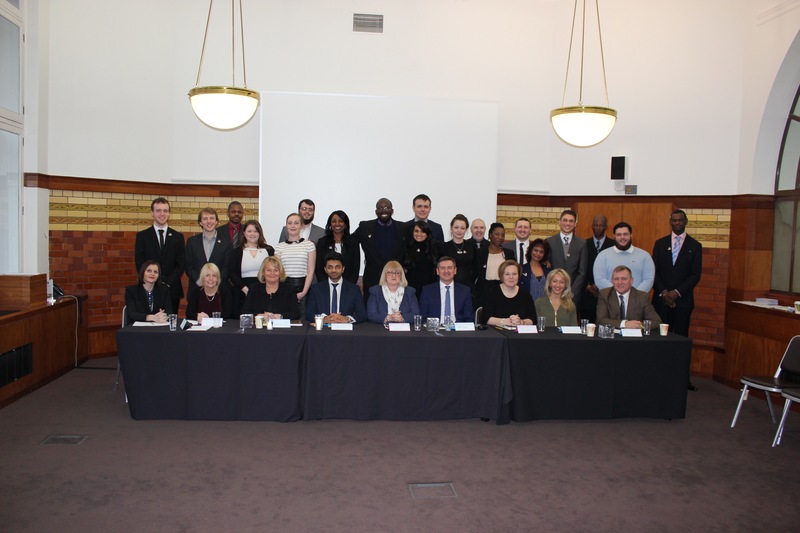 The seated judges above l-r are Michelle – Portico, Chloe – Iron Mountain, Sharon – wsh, Shane – Invest In Buy To Let, Julie – Portico, Allen – Pwc, Michelle – BASE, Sharon – Harrow Green & Nigel – JobCentre Plus. All were amazed not only in the growth of the Associates over the week but also their ability to devise an idea and present it confidently with no notes! Next EU – Referendum – In or Out?